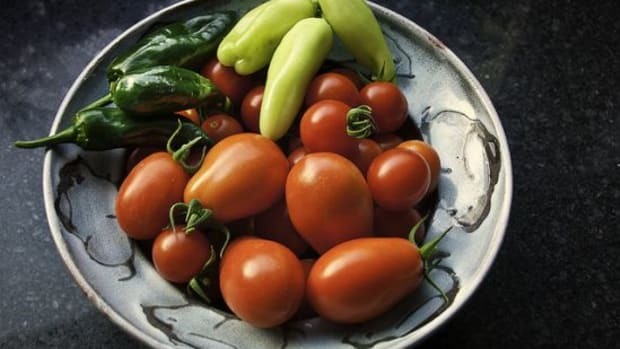 Grow a salsa garden this summer with delicious tomatoes, peppers, tomatillos, onions and cilantro. This delicious Mexican sauce is a staple for summer meals and parties, and tastes best when made with fresh vegetables from your own backyard. Learn how to easily plant and grow all the ingredients for awesome summer salsa! You can grow ingredients for fresh and canned salsa, and prepare them to make a version as hot and chunky as you’d like. 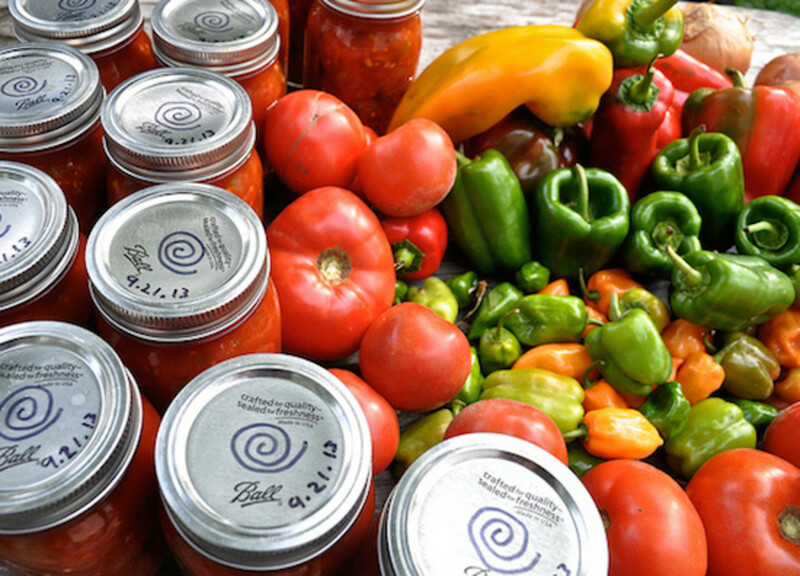 Growing your vegetables organically ensures a clean and organic salsa, and the satisfaction of making a dish completely from scratch. 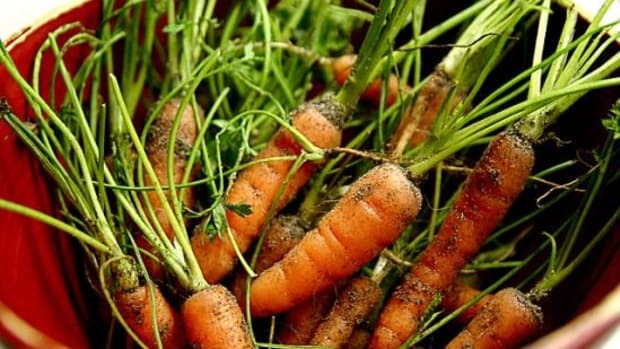 First off you’ll have to choose which types of salsa you want to make: you’ll definitely want to grow some onions and tomatoes such as Roma tomatoes, green tomatillos and Candy Hybrid onions. 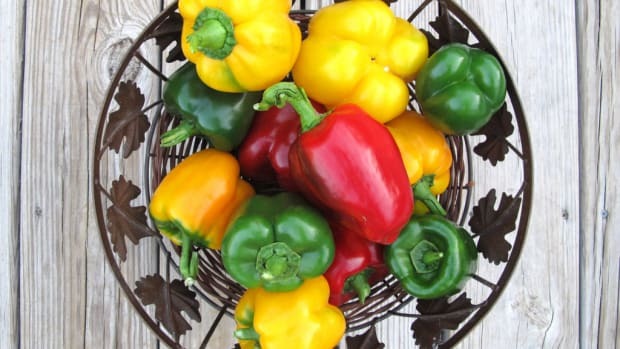 Choose peppers according to the heat you want; early jalapenos are great for medium heat, serranos and cayennes for very hot salsa, while ancho and banana peppers are best for mild salsas. 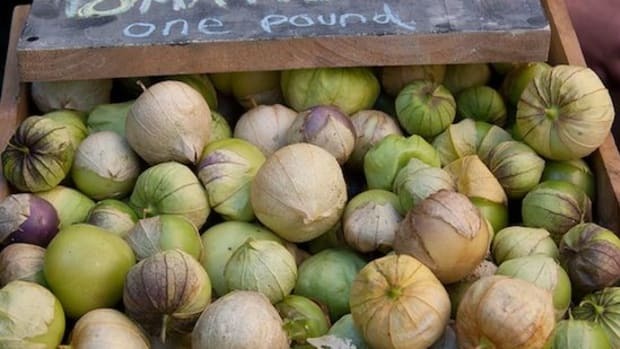 Grow tomatillos for salsa verde and opt for cilantro if you enjoy the flavor. All crops necessary for delicious salsa love sun, so make sure to choose a spot that receives at least 8 hours of sun a day. 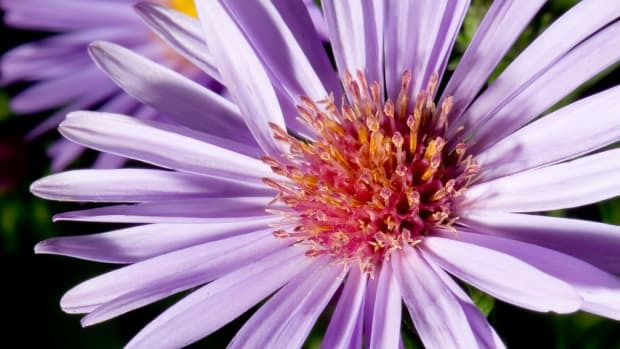 If you have enough space and choose to make your salsa garden an aesthetically pleasing one, you can arrange certain plants in circles or triangles with paths in between. Onion plants make a nice border and cilantro is nice to plant in between pepper or tomato plants. You can easily grow a salsa garden in a raised bed, grow bag or even a window planter if you only plan on making a small batch. 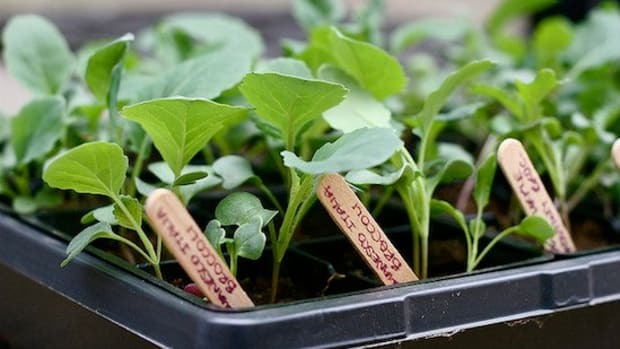 You can buy established starts from a nursery or garden store, or choose to start your own seeds indoors or in a greenhouse. 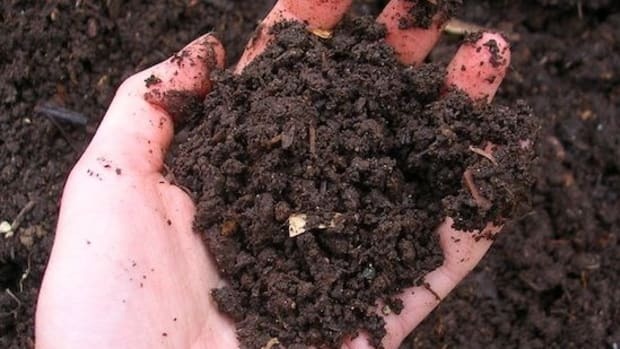 Once you’ve chosen your planting site and garden design, work some compost and any other necessary nutrients into the soil. Space your tomato, tomatillo and pepper plants at least 6 inches apart, plant the onions about 3 inches apart. 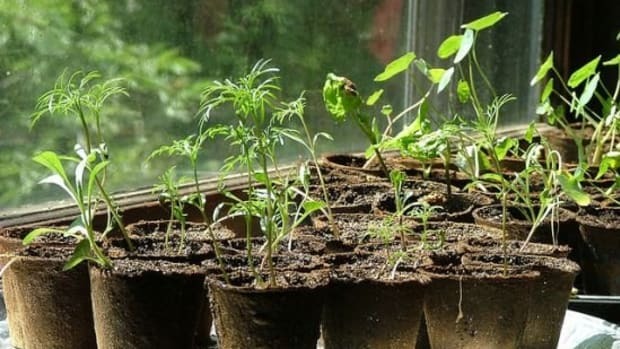 Intersperse your planting with cilantro seedlings. Once your nightshades begin to grow, you’ll have to stake or cage them and tie them up to keep the blossoms and developing fruits healthy. You can choose to add a donut ring around the plants when they are still young to encourage vigorous growth. Use a soaker hose in your salsa garden, as you’ll want to avoid overhead watering to keep the foliage of the plants dry. For optimum flavor, harvest your peppers and tomatoes once they have vine ripened. Pull your onions out of the ground and harvest as many strands of cilantro as you like. Chop up the tomatoes, and/or tomatillos, peppers, onions, cilantro and add some salt, pepper and lime or lemon juice and a dash of vinegar for a mouth-watering fresh salsa. To make a blended version, roast your peppers and tomatoes in the oven or on a cast iron pan, puree all your ingredients in a food processor and heat up to serve it warm. Blended salsa is also very easy to can, and can be made as a chunky version by slicing some of the tomatoes and peppers into larger pieces. Experiment with various flavors by adding mango, corn, summer squash, beans, Asian pears or other fruits and vegetables for a unique twist on this summer favorite!